Happy Monday! Can I tell you about my fabulous time at the Just Crop Retreat this past Saturday? Oh my goodness, it was so wonderful to see so many happy, welcoming faces. These ladies are all just the best people. I enjoyed spending time talking with so many of them that I completely lost track of time and stayed far later than I normally do. It was a very good day. Today I’m sharing my second make & take from last Saturday. 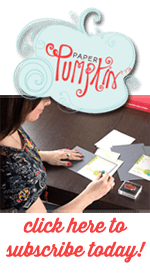 It’s a simple card with very little stamping. My favorite part of the card is the sentiment “hello beautiful”. So simple, and so uplifting. I’m sure there’s someone in your life that could use that reminder that they are beautiful. The assembly of this card is rather quick too… no complicated bows or layers. The butterfly is punched out from our new Botanical Butterfly paper, which is FREE with a qualifying Sale-abration purchase. If you’ve been on the fence about becoming a Demonstrator, now is the perfect time to sign up. 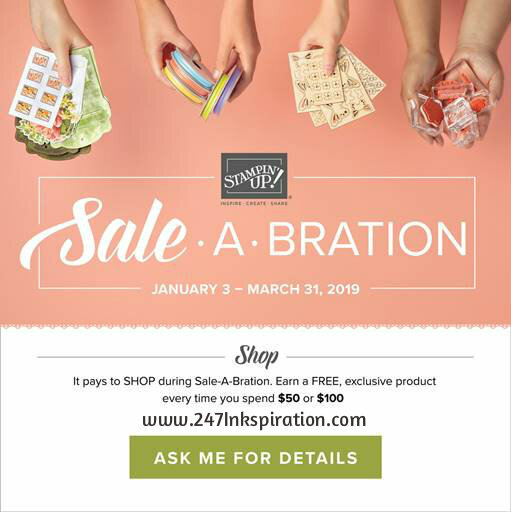 Sale-abration started earlier this month and we have some great rewards that are available. 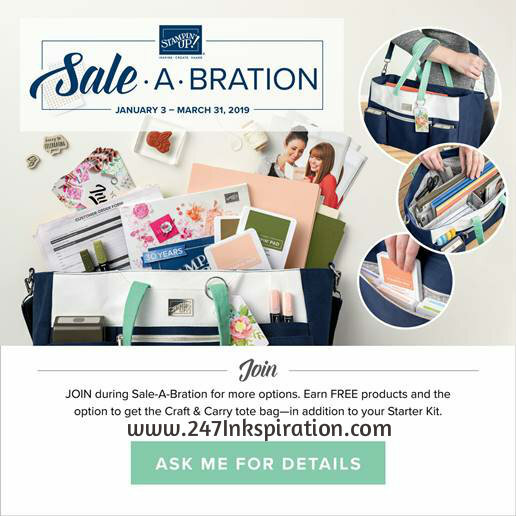 There are two options for signing up: Option 1 spend $99 and select $175 in products to come in your kit; Option 2 is spend $129 and select $175 in products for your kit and get that amazing new Craft & Carry Tote Bag! I was able to get one of these tote bags last month and it is so great. I love that it fits my paper trimmer and has a ton of pockets for so many things.